In addition to the UC Davis credentials, users get a DUO notification sent to their cellphone, landline, or hard token when they sign in to AggieDash. 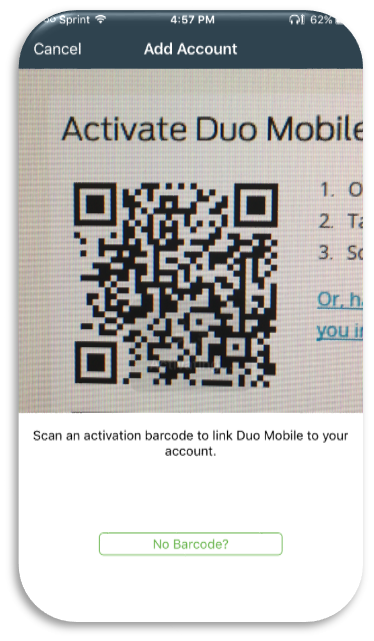 To setup your DUO account, please follow the directions below. 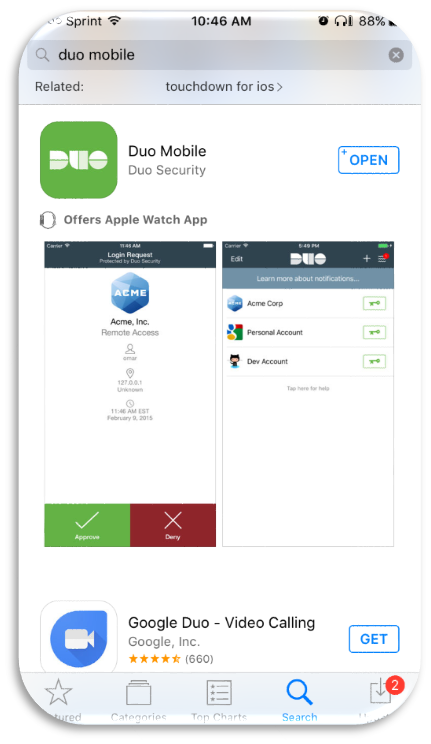 For further information about the DUO Hard Token, click here. 1. 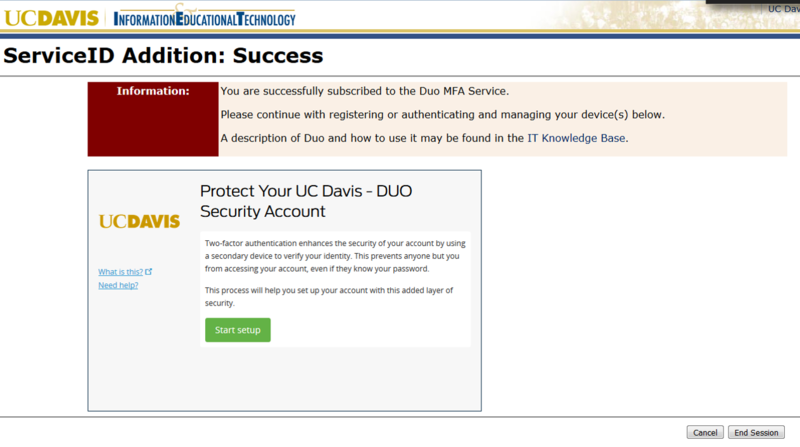 Login with your UC Davis Computing Account Credentials at accounts.ucdavis.edu. 2. Select “Manage Account Sevices”. 3. 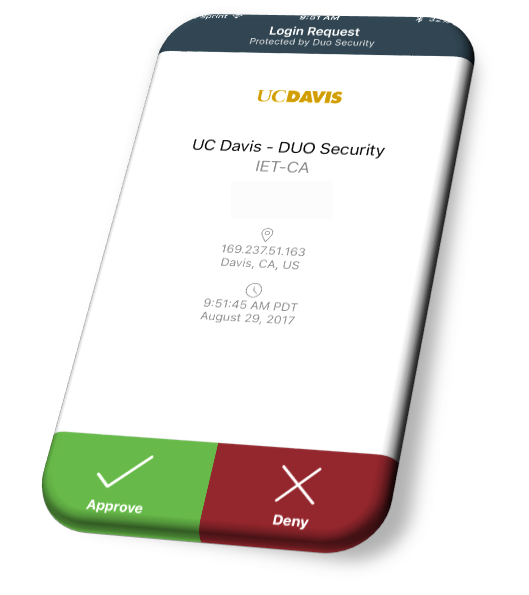 Enter your confirmation info (Name, Employee ID, DOB). 4. 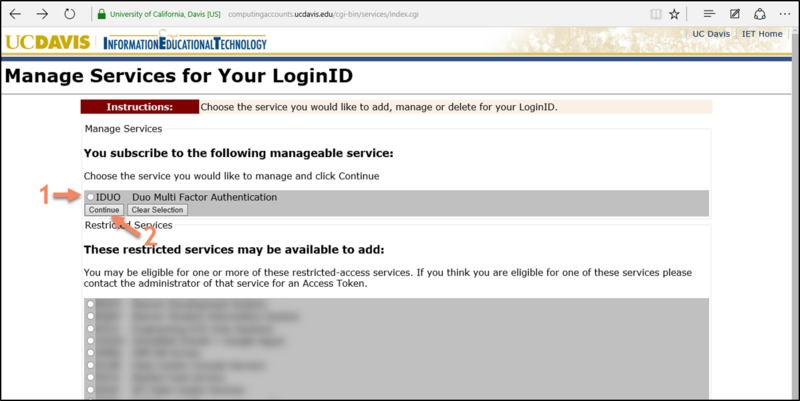 Confirm that your loginID is correct and select “Continue”. 5. 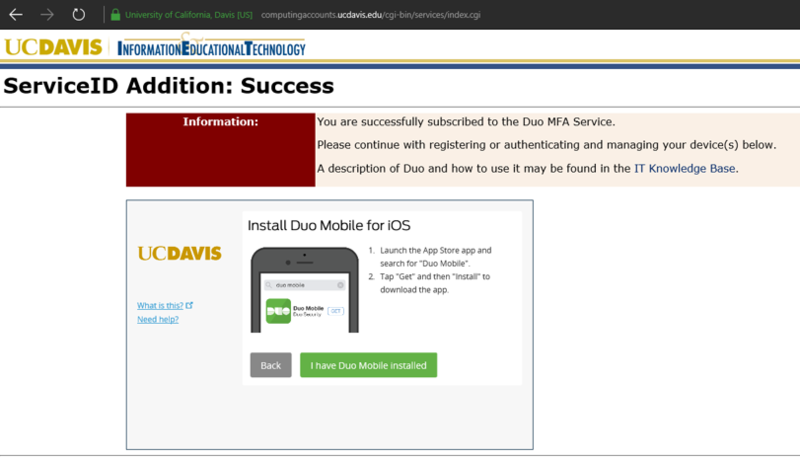 Select “IDUO Duo Multi Factor Authentication”, then click continue. 7. 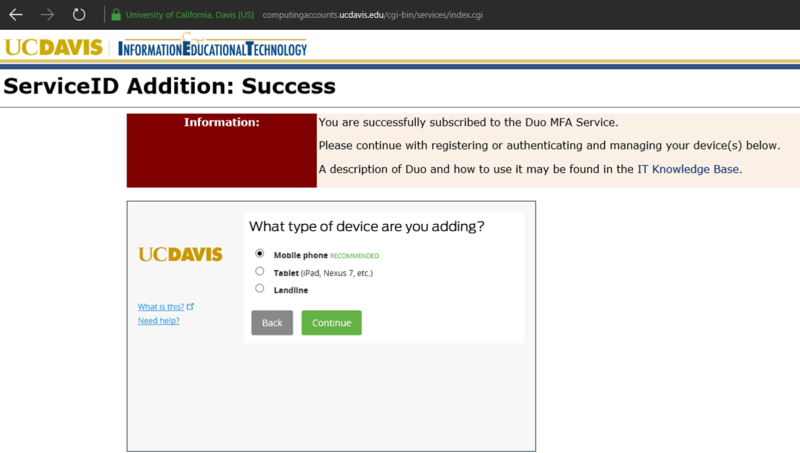 Choose your device type. 8. 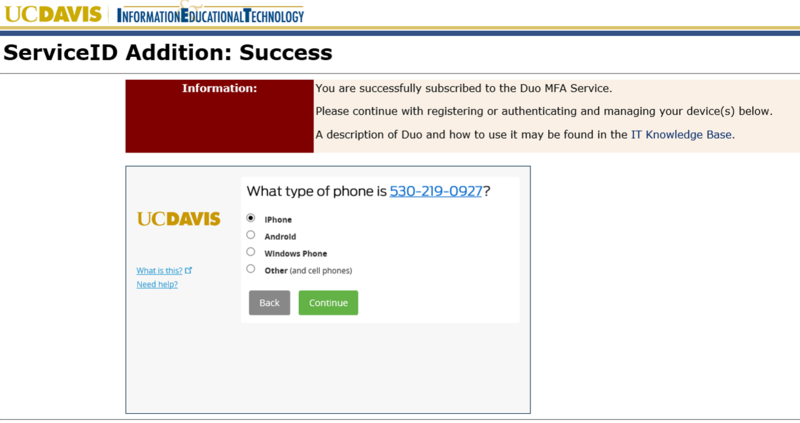 Enter your phone number. 9. Select your Operating System. 10. 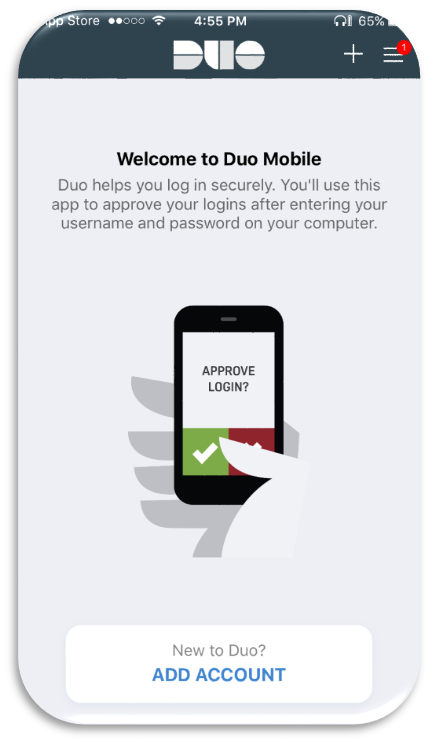 On your mobile device, install DUO mobile via App/Play Store. 11. 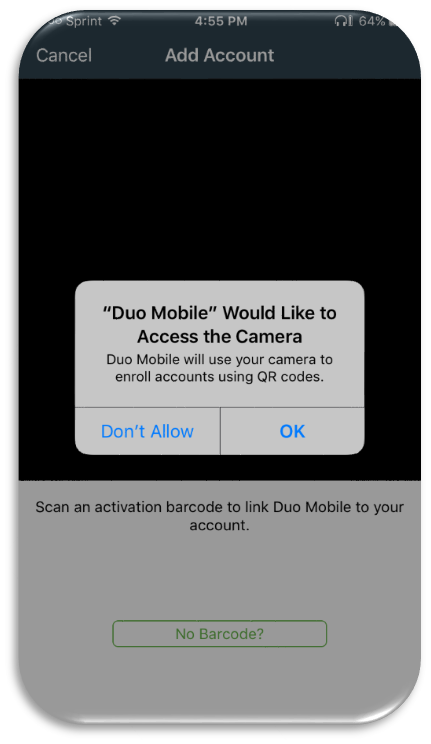 Click “I have Duo Mobile installed”. 12. 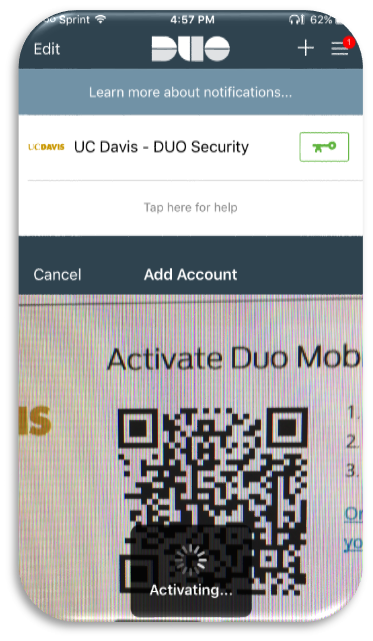 Hold your phone up to the QR code that appears on your computer screen, until “Activating…” appears. 13. On your computer, select “Send me a Push”. 14. 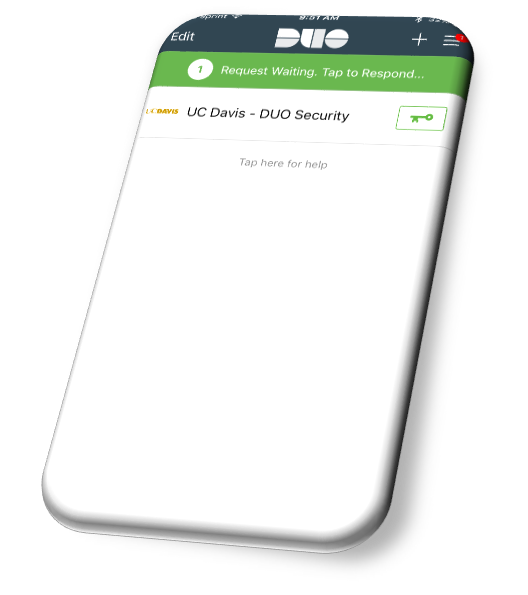 Respond to the push on your mobile device. 15. 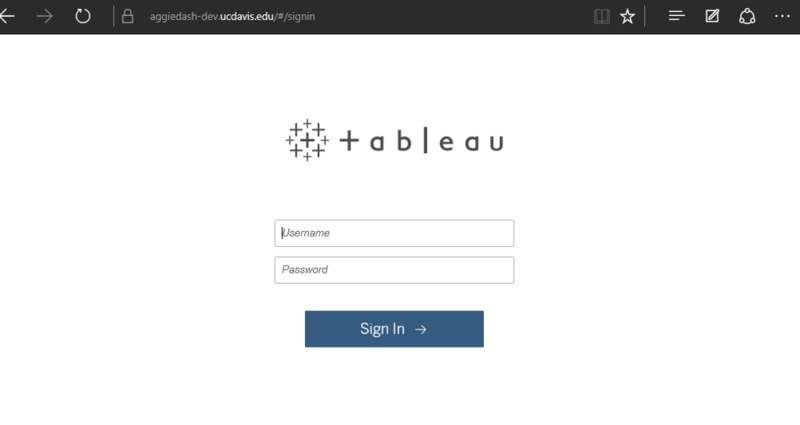 Your Account is all set! 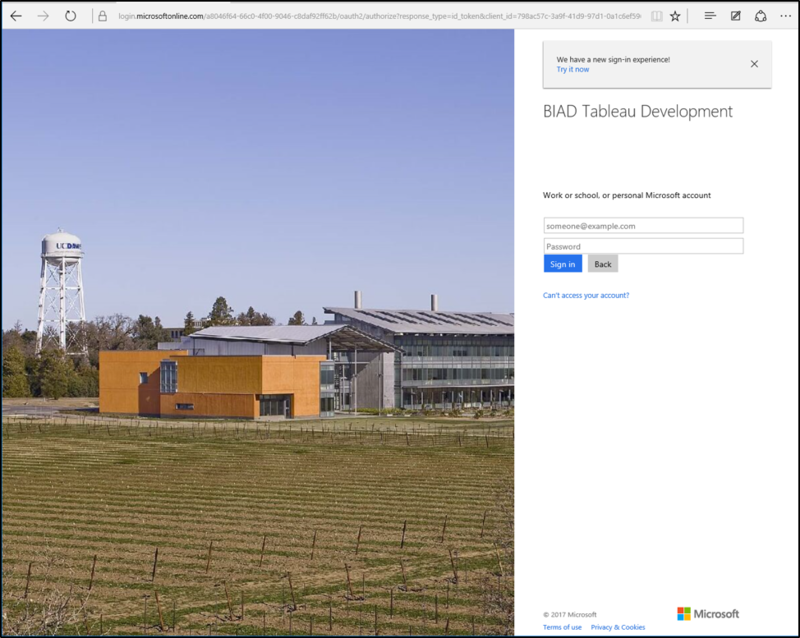 Don’t forget to end your session. 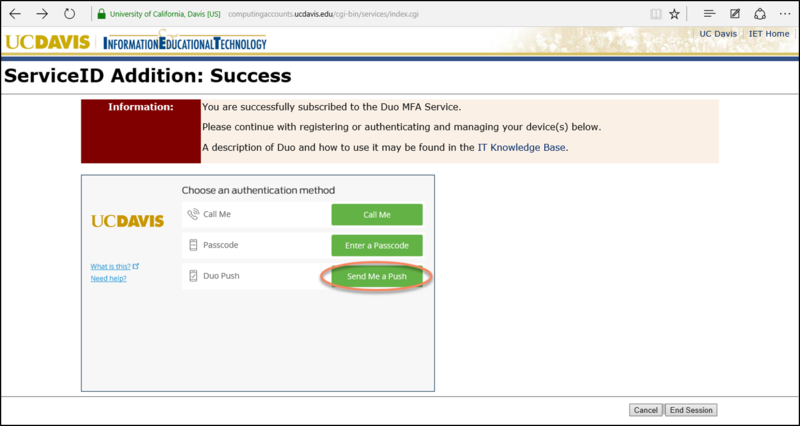 If you are still having trouble setting up DUO, click here for further instructions provided by IET. 1. 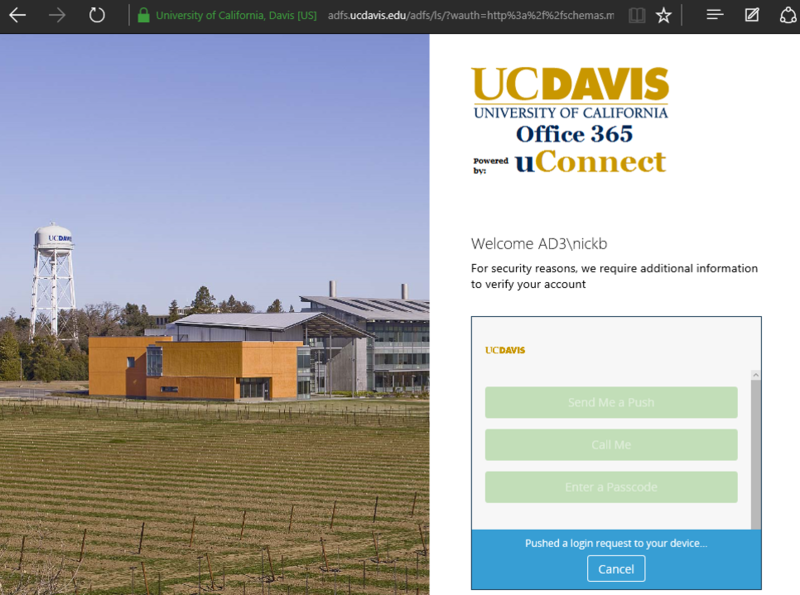 Using your UC Davis credentials, login to aggiedash.ucdavis.edu. 2. 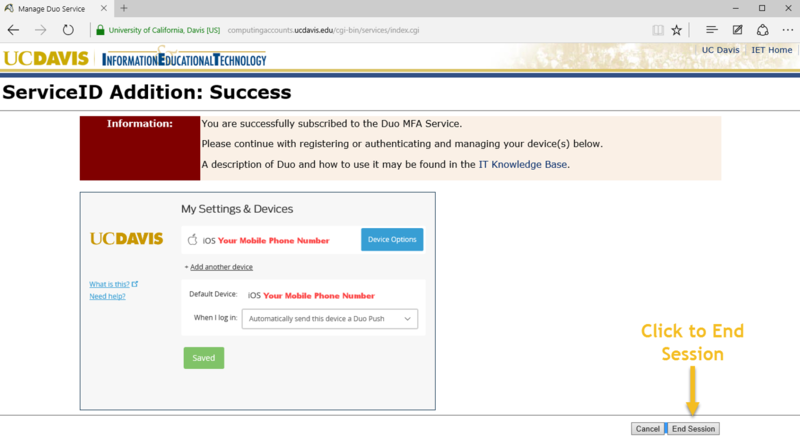 Complete your DUO authentication. 3. Enter your UC Davis Computing Account credentials and you’re in!